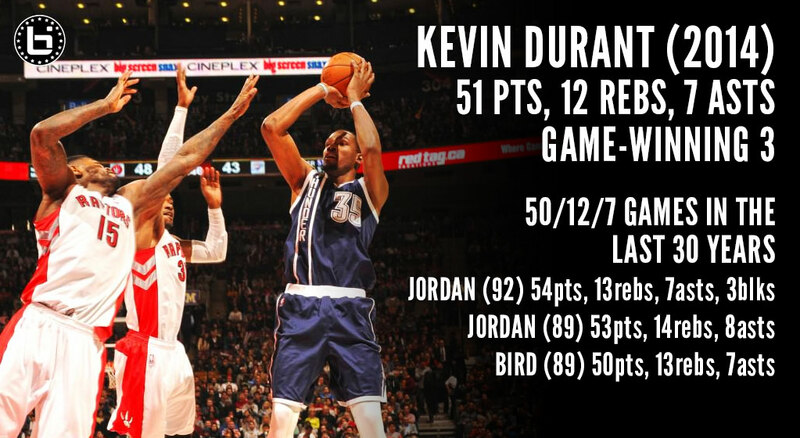 Kevin Durant ended a wild double-overtime contest against the Raptors on Friday by hitting a long three with under two seconds remaining to give the Thunder an insanely hard-fought 119-118 road victory. Durant finished with 51 points, 12 rebounds and seven assists. According to ESPN Stats & Info, the last player to put up those numbers (50/12/7) was Michael Jordan back in 1992.